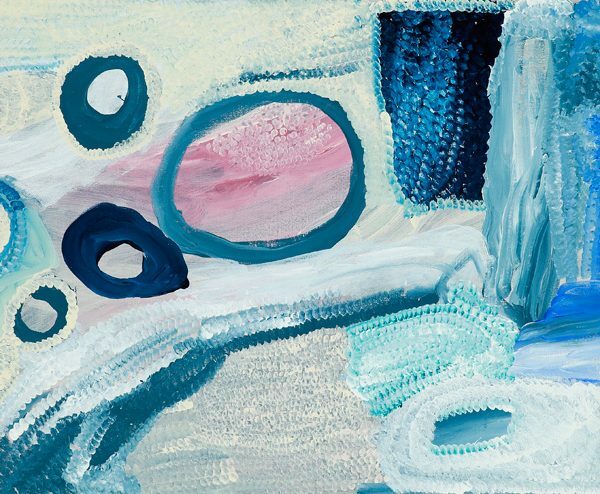 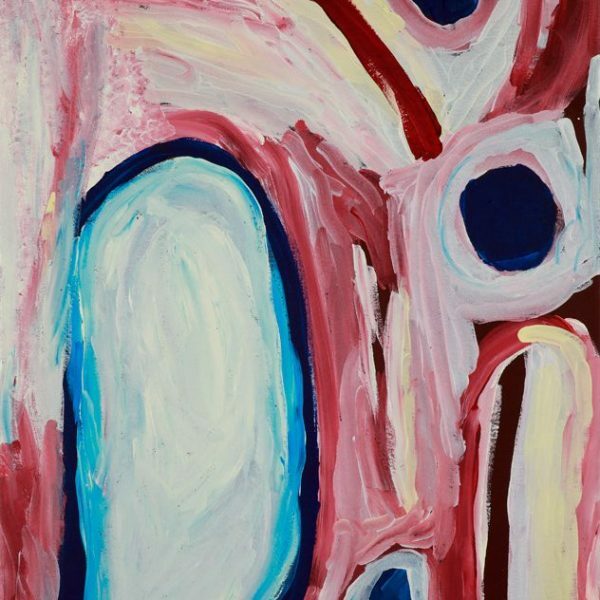 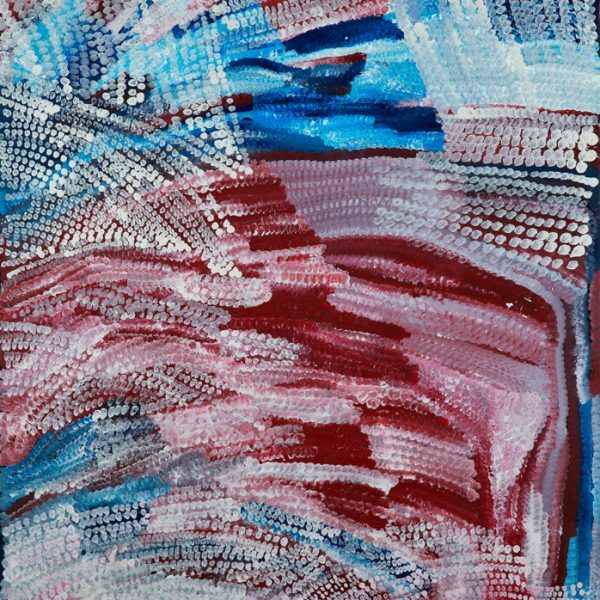 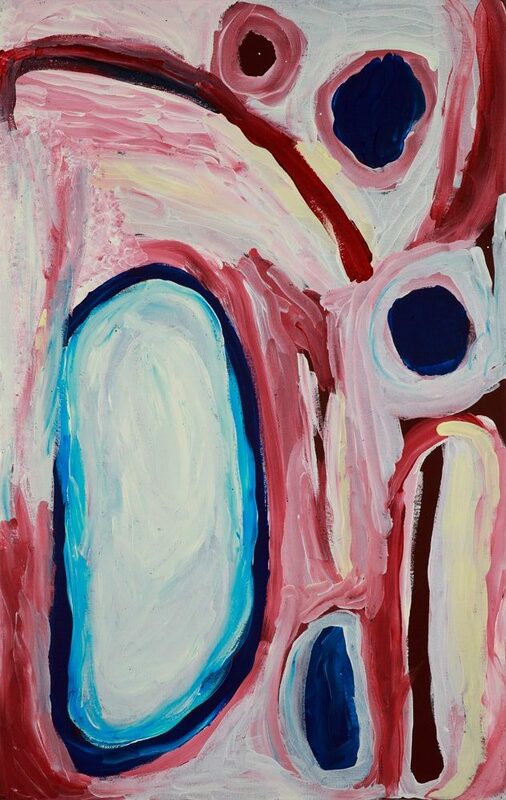 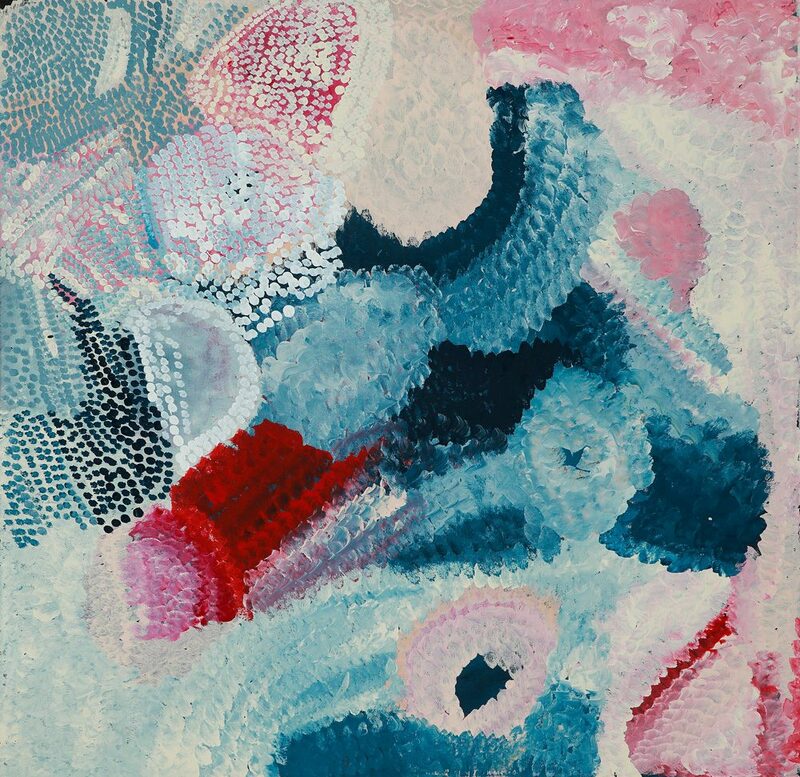 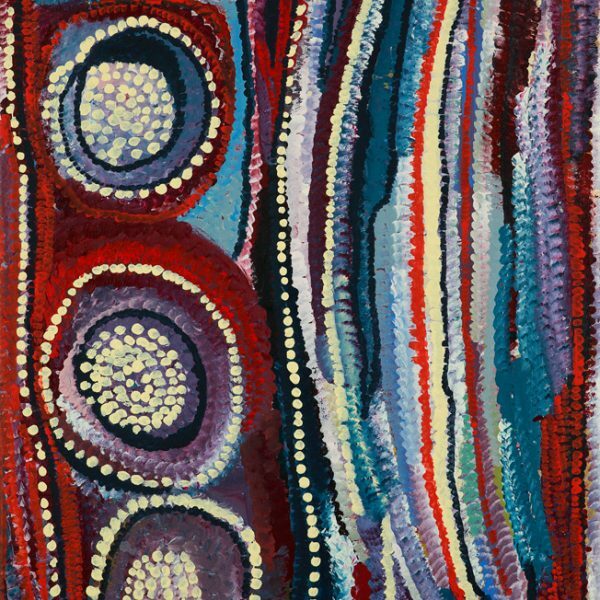 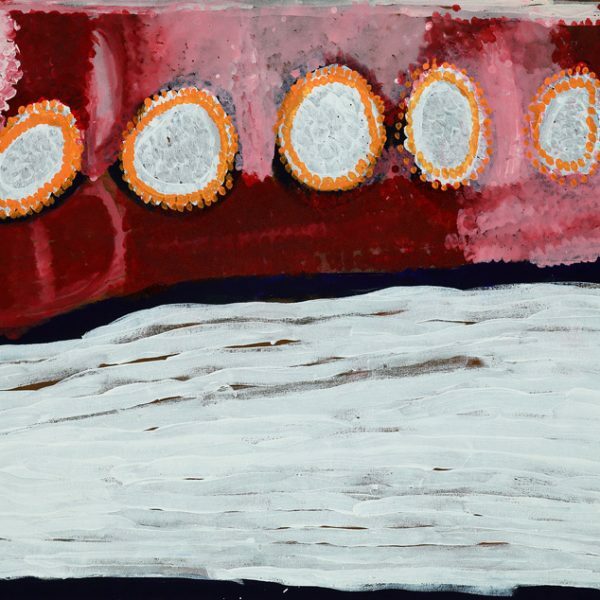 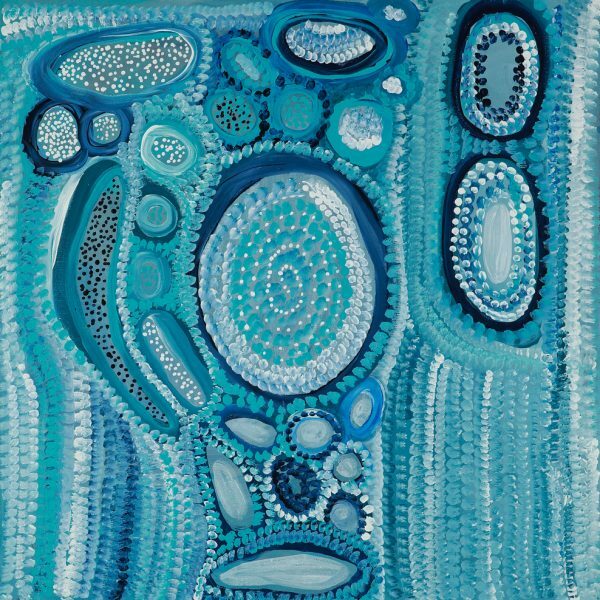 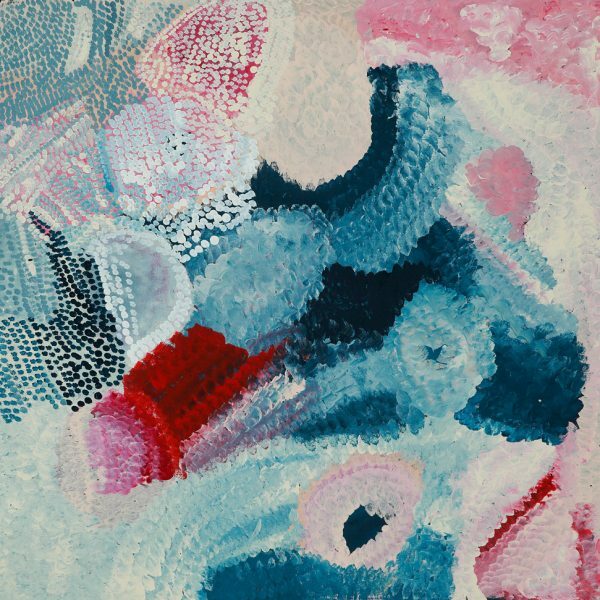 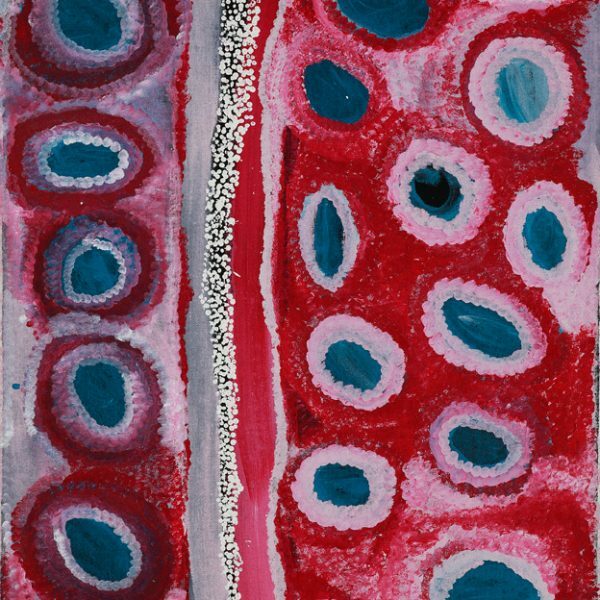 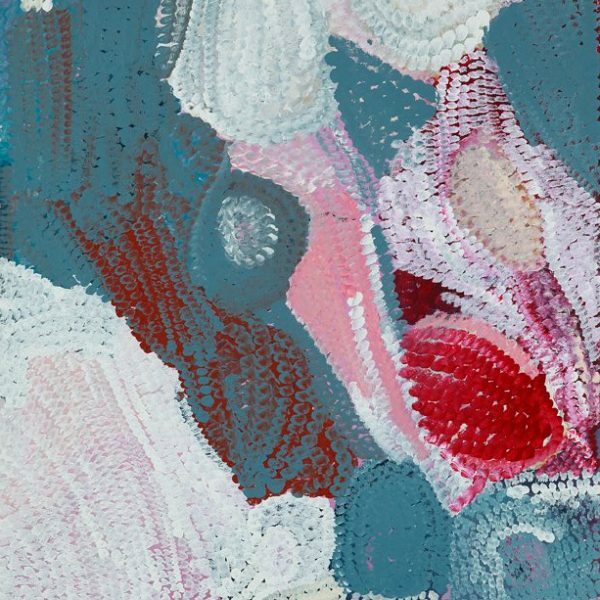 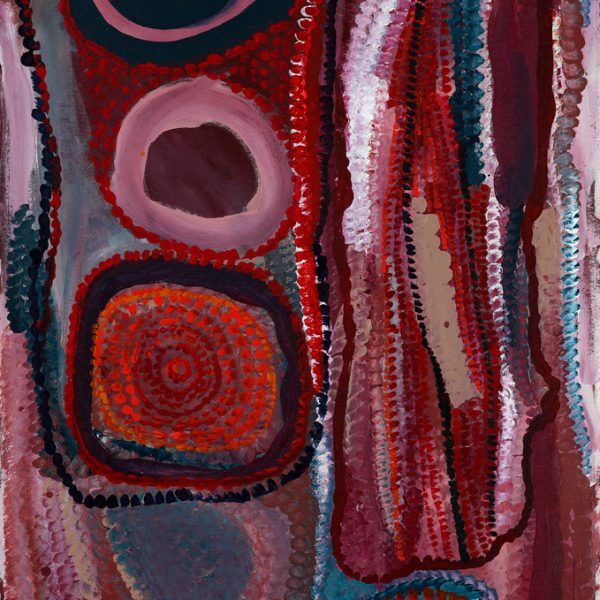 Presented in partnership with MARTUMILI ARTISTS (Newman, WA), Wantili showcases a body of work by senior Martu artist Bugai Whyoulter and her grandson, Cyril. 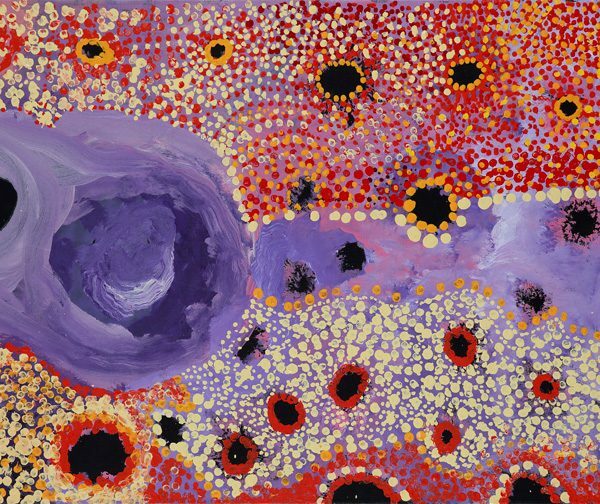 Wantili is a large lyinji (clay pan) near Well 25 on the Canning Stock Route. 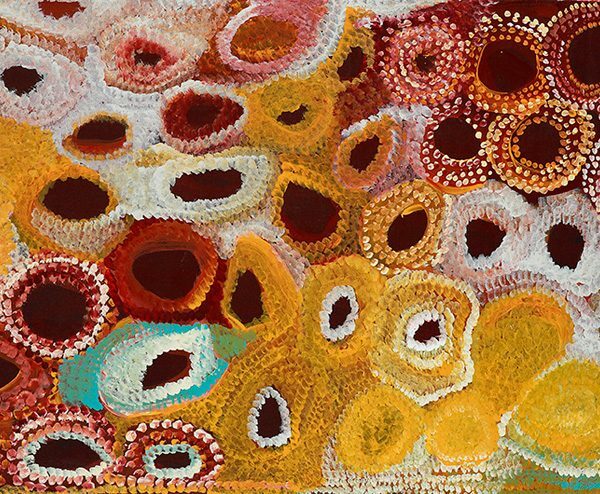 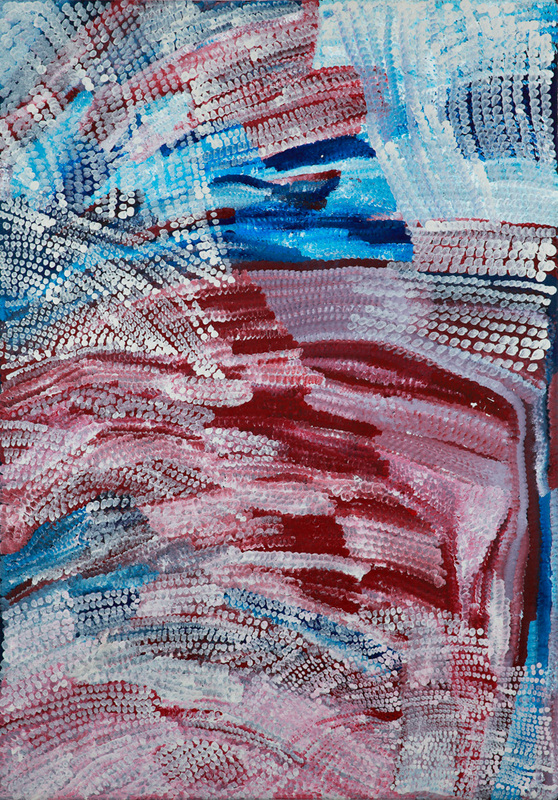 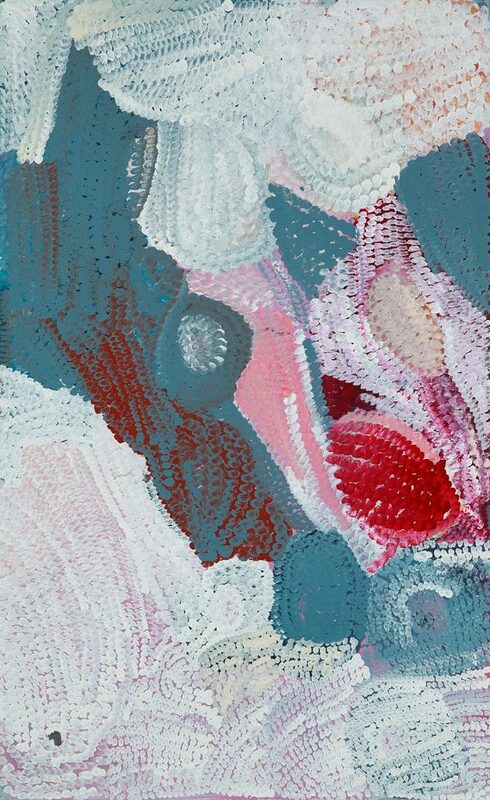 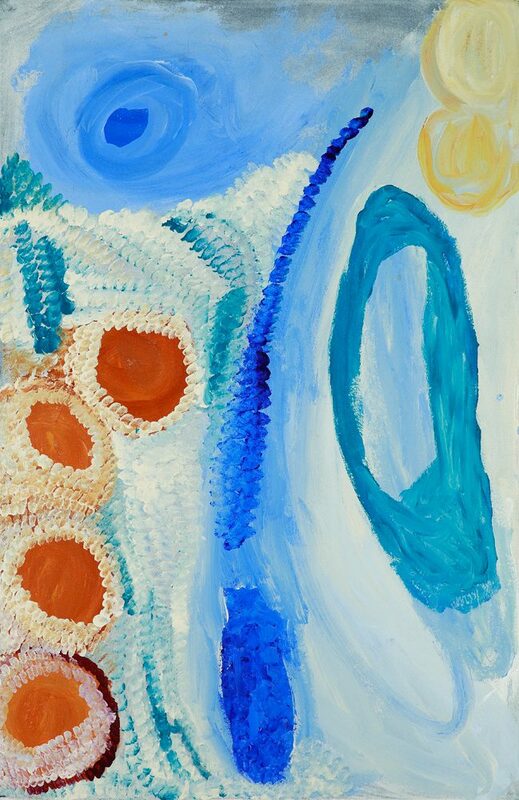 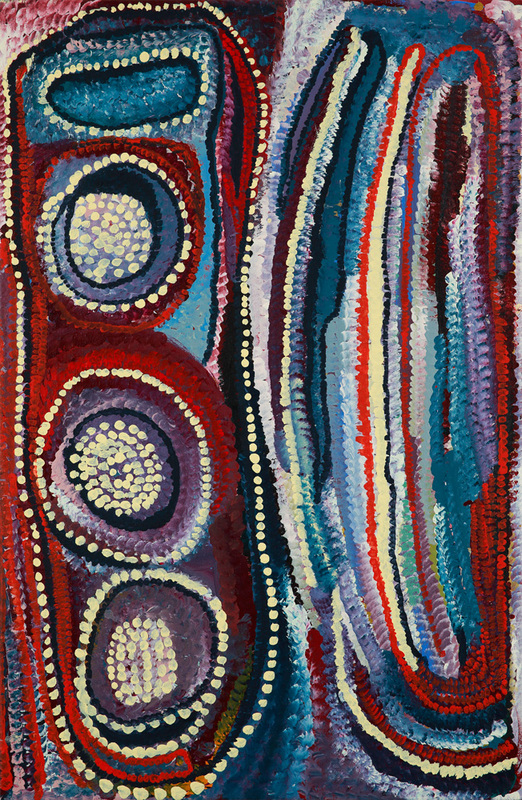 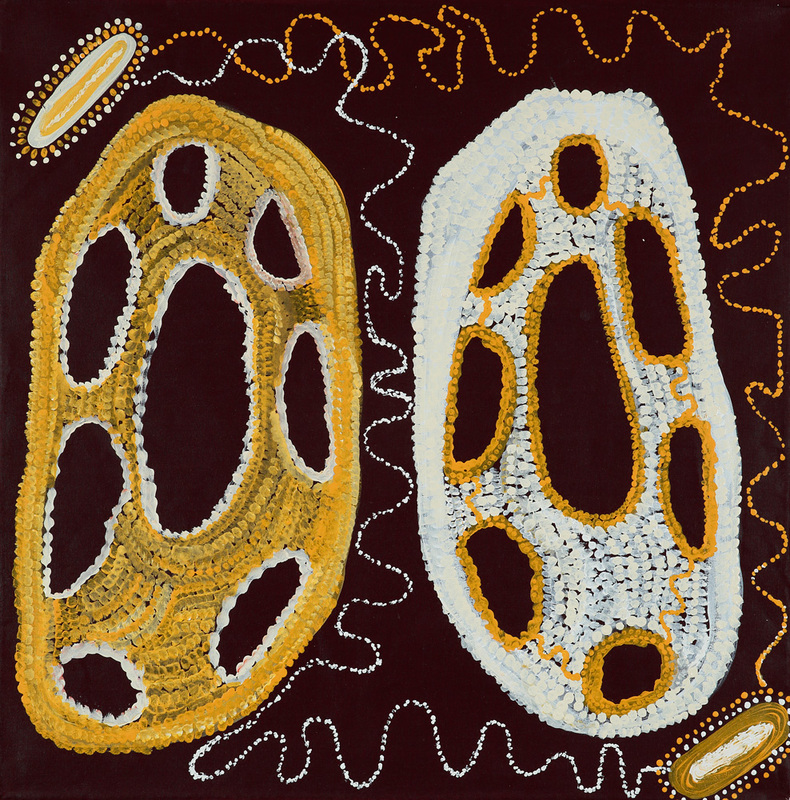 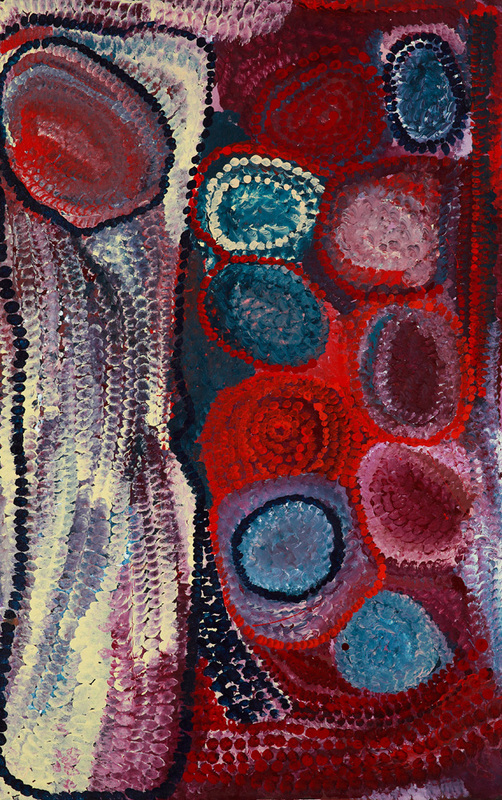 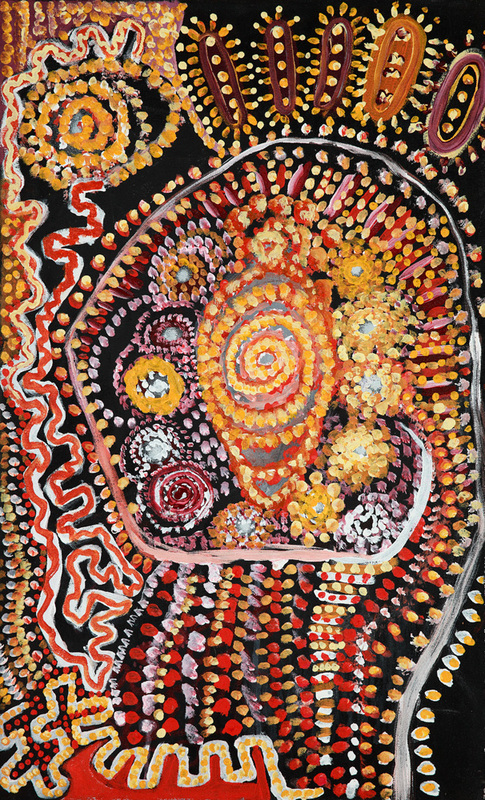 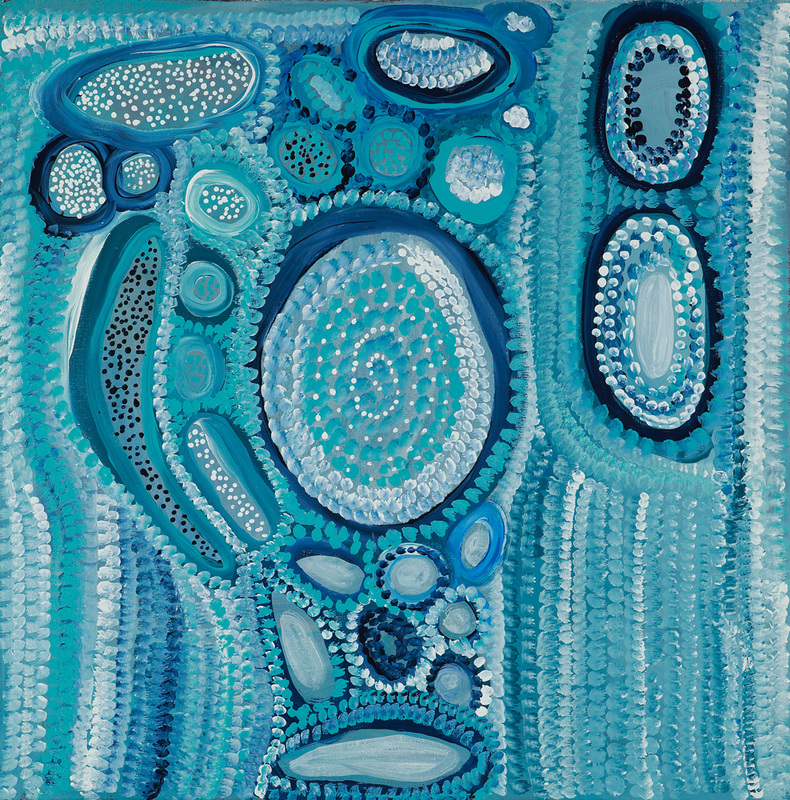 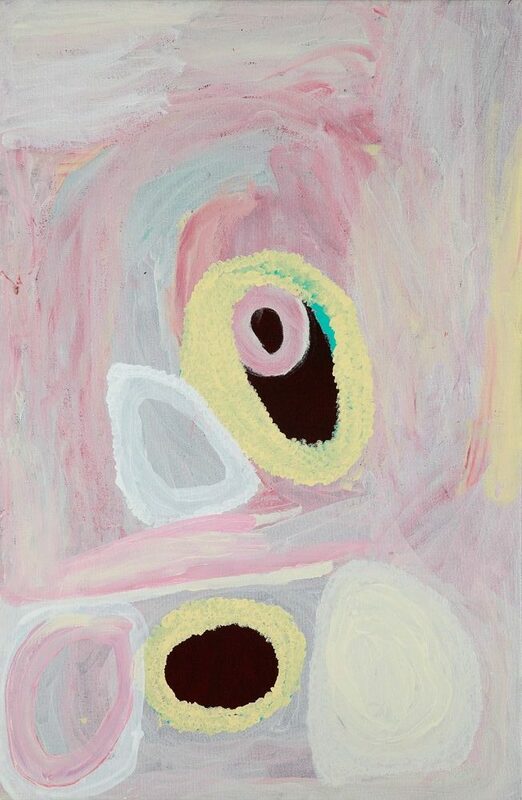 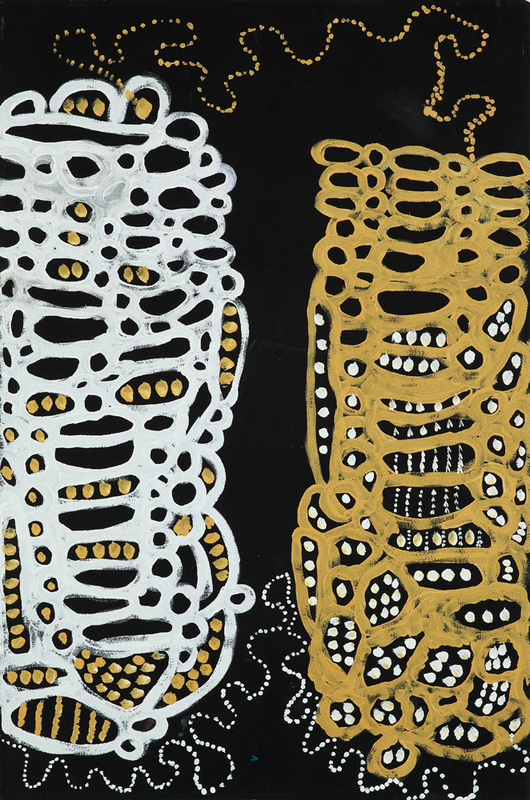 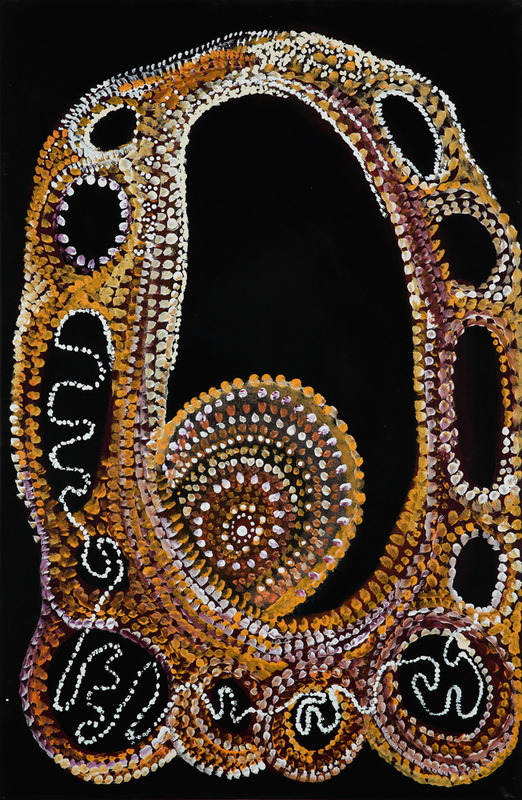 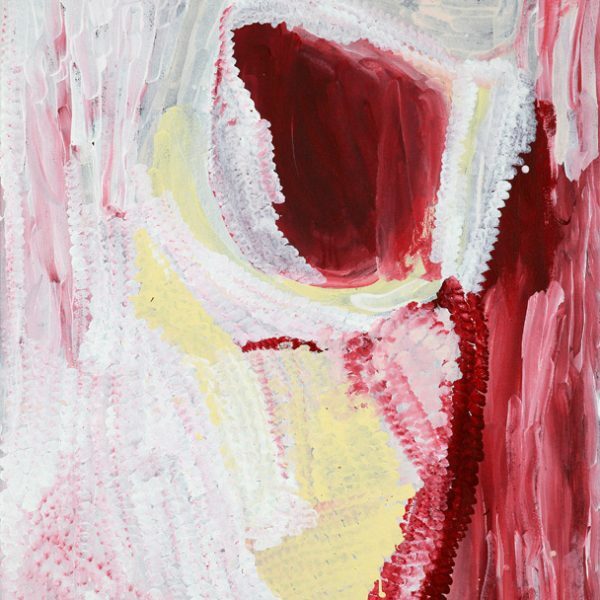 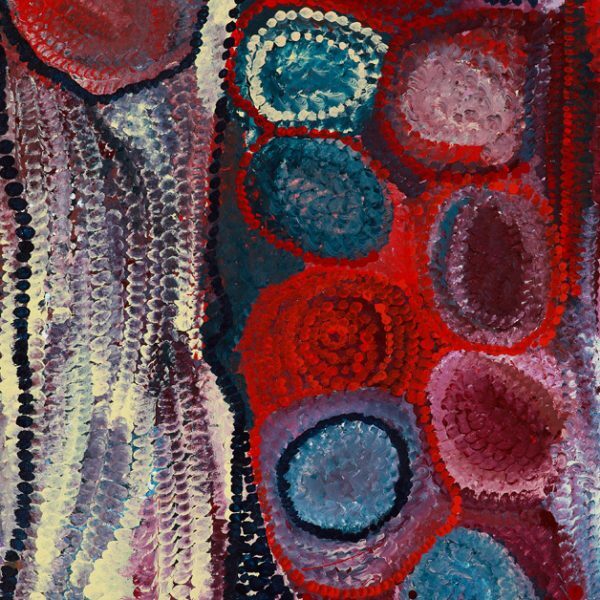 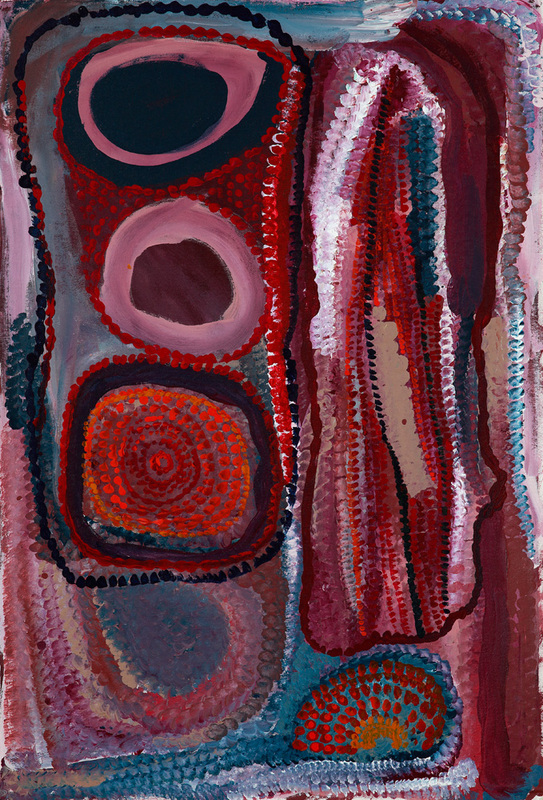 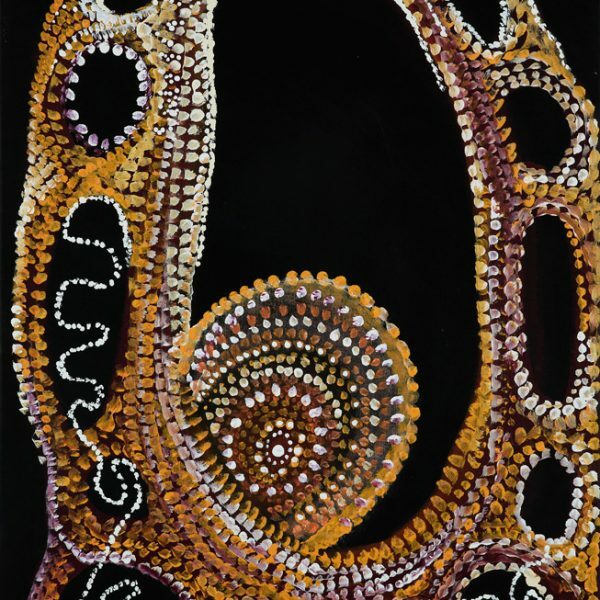 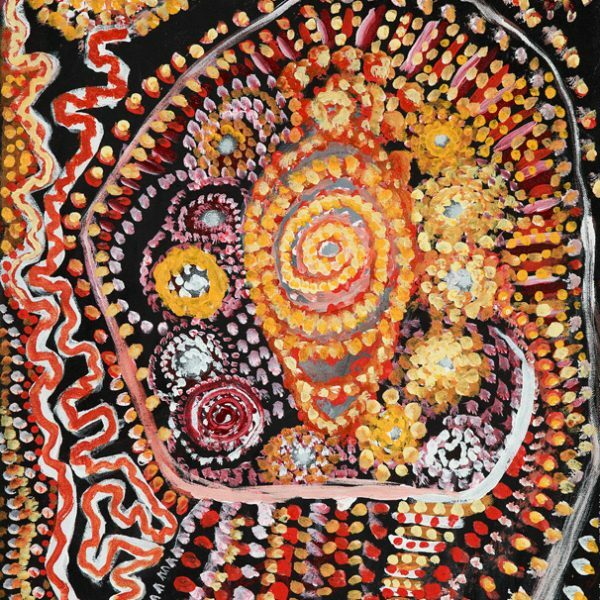 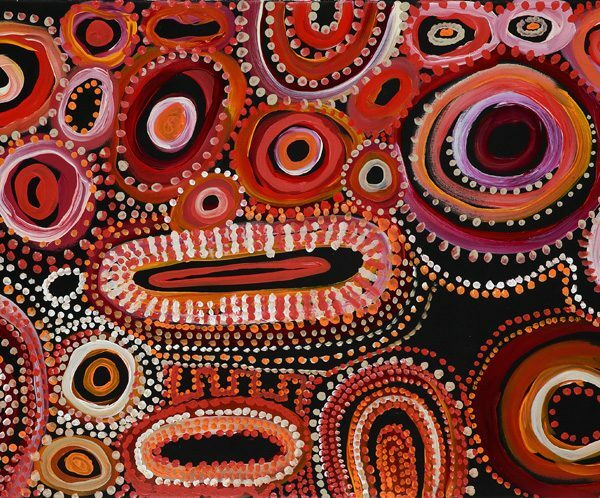 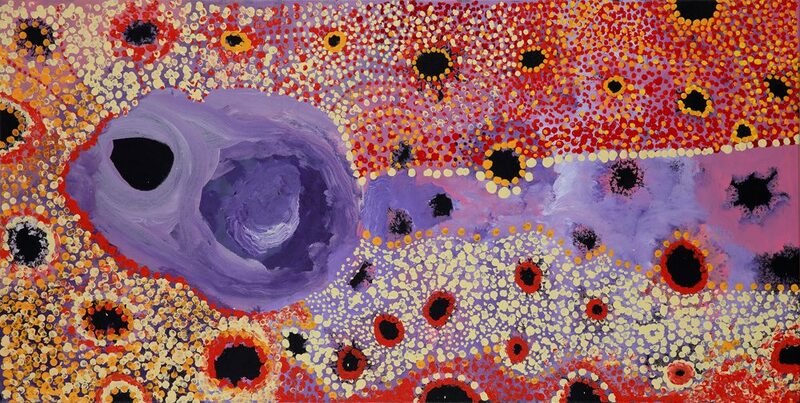 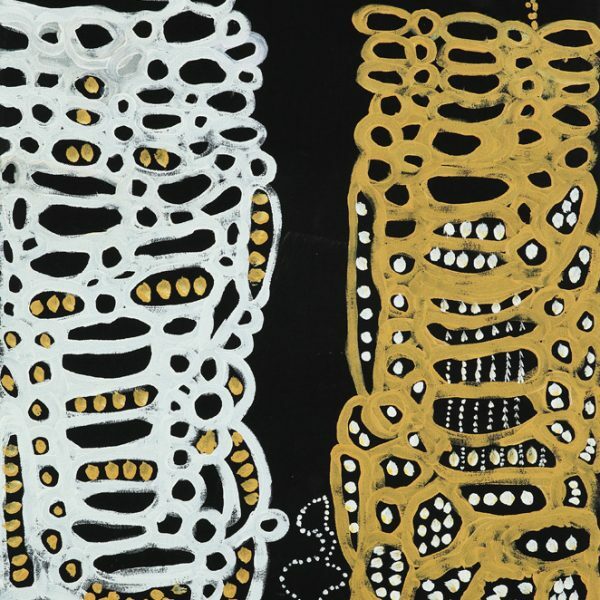 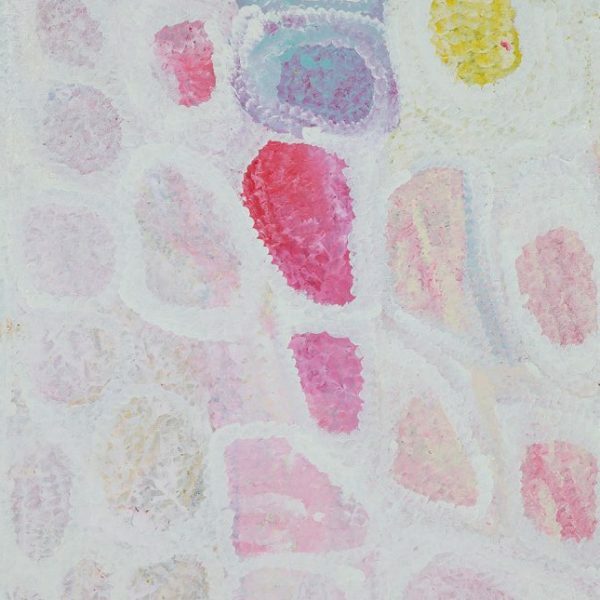 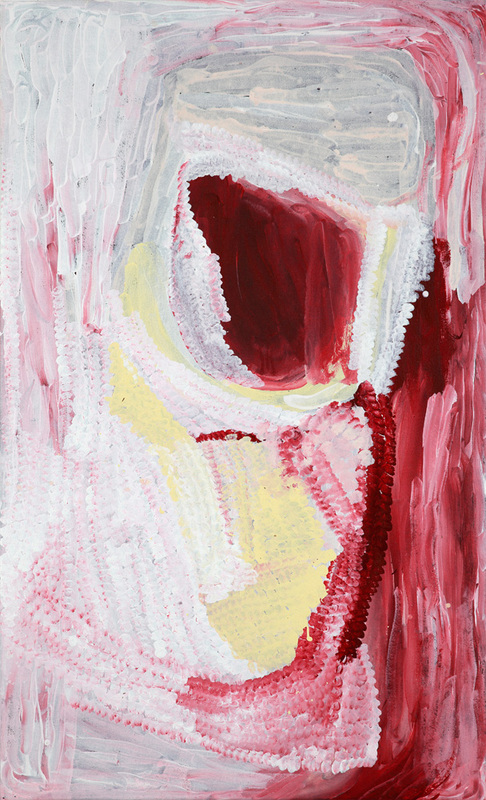 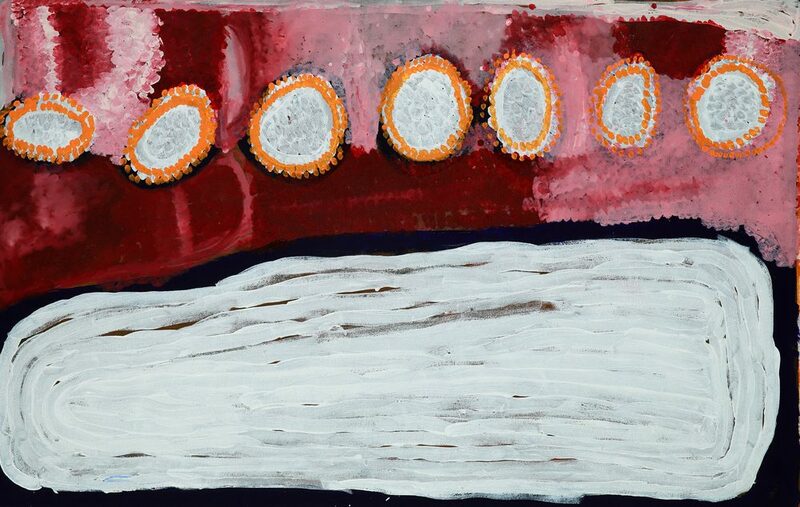 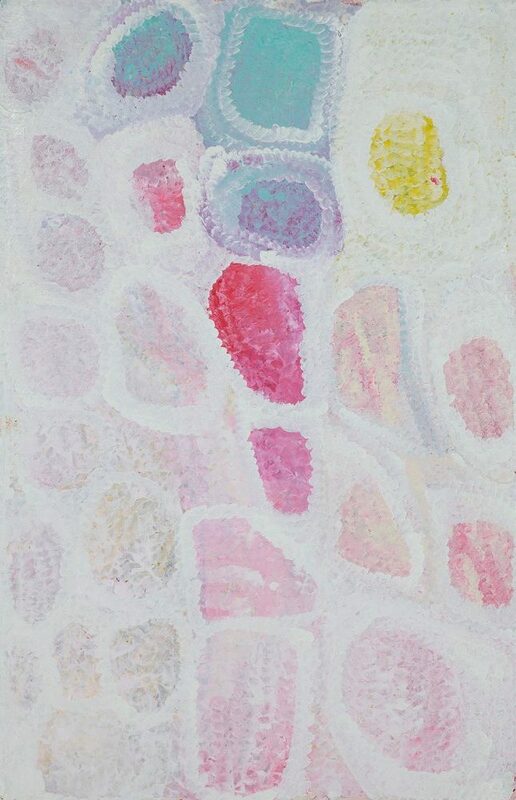 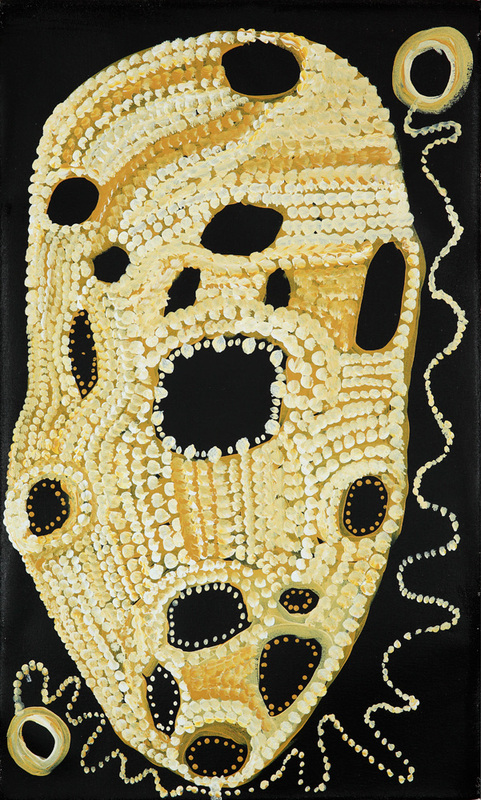 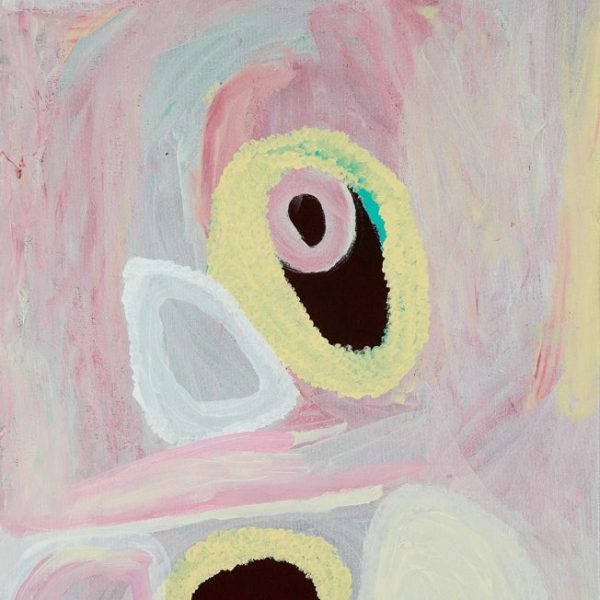 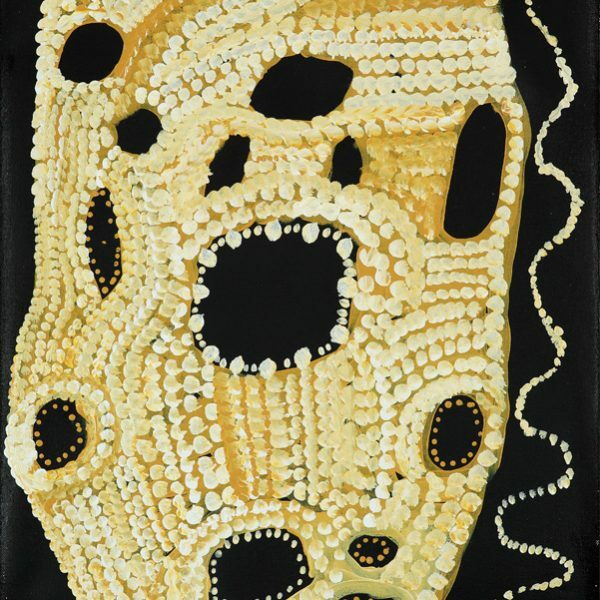 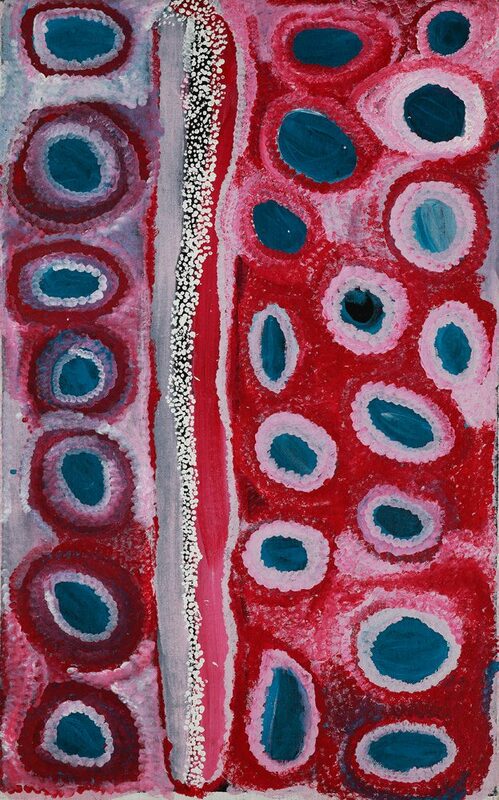 It lies close to Bugai’s birthplace, and is her ngurra (home country).Developed during a 2018 bush trip to Wantili, the exhibition demonstrates both the collaborative practice that Martumili Artists are known for, but also the inter-generational transferral of cultural and creative knowledge that is taking place in the Martu community. 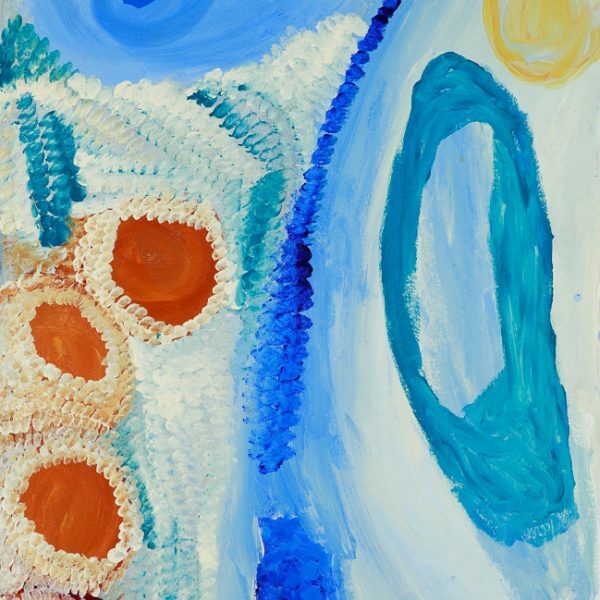 Through painting alongside each other, Bugai and Cyril ensure the continuation of culture, and the preservation of strong family connections.